At the 121st Annual Meeting, Jan. 1, 1907, at Randolph, it was voted on Motion of Mr. Edwin A. Jones of Stoughton that the Society be incorporated under the laws of the Commonwealth, and that the President, Secretary, and Chorister be a committee for that purpose. 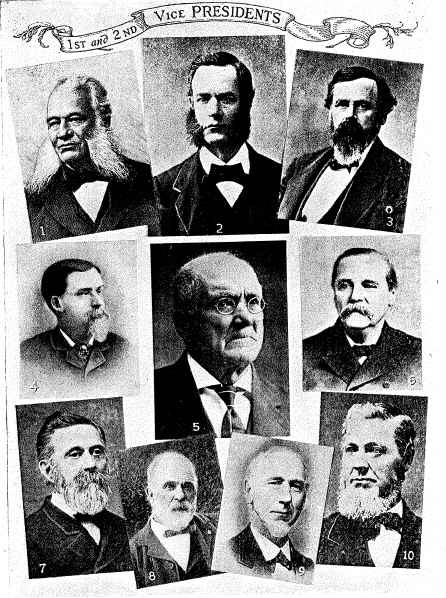 At the 122d Annual Meeting, Jan. 1, 1908, at Randolph, a meeting was called at 3 o'clock for the purpose of organizing the Society into a corporate body. Due notice was given the press and special notices and posters sent out. Mr. Edwin A. Jones reported for the committee, and read the Constitution and By-Laws as prepared. The articles were taken up separately. Article I was adopted. Article II was amended so that "when Jan. first falls on Sunday the business meeting shall be held on the following Monday. ',' Article III was adopted. Article IV was adopted. Article V was adopted. Article VI adopted. Article VII adopted. Article VIII adopted. Article IX adopted. Article X adopted. Article XI adopted. Article XII adopted. The Constitution and By-Laws were then adopted as a whole. The object of this Society shall be as heretofore and always, the preservation, cultivation, and practice of the music of the earlier native composers, together with general musical and antiquarian activity. The Annual Meeting of this Society shall be on the first day of January of each year and in the Town of Stoughton, or vicinity thereof, at such place and hour as the Directors shall appoint; notice of the same to be published two weeks in advance, in the leading newspapers of said Town of Stoughton, and of neighboring towns, and in such other manner as the Directors may prescribe. When January first falls on Sunday, the business meeting shall be held on the following Monday. 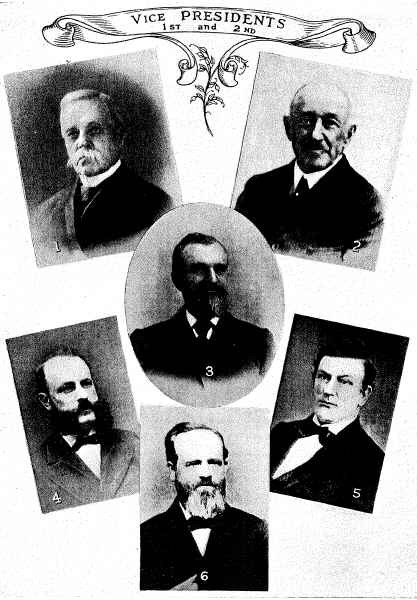 The officers of this Society shall be President, a Vice President, a Clerk, a Chorister, and five others, who, with the first named four, shall constitute a board of nine Directors; and also a board of three Trustees; all of said Officers to be elected annually by ballot and serve one year, or until their successor shall be chosen. There shall be appointed by the President-elect at the Annual Meeting, a Standing Committee of three on Membership, a Standing Committee of three on Necrology, and a Vice Chorister, who shall perform the duties customary to such officers. The duty of the President shall be to preside at all meetings; to conserve the welfare of the Society; to appoint Committees and Officers not otherwise provided for; and to attend to such other duties as usually devolve upon the office of President. The duty of the Vice President shall be to act as President during the absence of that officer. The duty of the Clerk shall be to act as Secretary and Treasurer of the Society; to keep the records of both meetings and of financial transactions, and to be Custodian of records, of current funds, and of other property of the Society. He shall manage such funds and property subject to the approval of the Directors, and his books shall always be open to their inspection. It shall be the duty of the Directors to have general charge of the affairs of the Society. They shall meet annually in the month of December, and also on January first, and at such other times as the President shall direct, and at all meetings except the one January first, three members shall constitute a quorum. At the January first meeting, five shall be a quorum. They shall not have the power to authorize the expenditure of funds to exceed the amount of cash in the treasury at the time action is taken. It shall be the duty of the Chorister to conduct the rehearsals and concerts of the Society, and select soloists and music, and take full charge of arrangements for concerts subject to the approval of the Directors. It shall be the duty of the Vice Chorister to perform those of the Chorister in the absence of the latter. Any person shall be eligible to membership who shall be recommended by the Committee on Membersip after investigation and may thereafter become a member by receiving a majority of the votes of those present and voting at any Annual Meeting, and by paying an admission fee of twenty-five cents. The annual dues shall be twenty-five cents, payable at the Annual Meeting. All persons holding membership in the Society previous to the adoption of these By-Laws (1908) shall thereby become members without admission fee, retaining all rights and privileges hereto-fore enjoyed. These By-Laws may be altered or amended by a two-thirds vote of those present and voting at any Annual Meeting, notice having been given in writing to the Clerk of such alteration or amendment, together with reason therefor, at a previous Annual Meeting. Now, Therefore, I, William M. Olin, Secretary of the Commonwealth of Massachusetts, do hereby certify that said L. Morton Packard, Edwin A. Jones, T. Haven Dearing, Joseph Belcher, Richmond T. Pratt, Nelson Mann, Cornelius Adams Faunce, Charles C. Farnham, Lemuel W. Standish, Kilburn R. Clifford, George Richmond, George W. Porter, George Fred Sumner and James T. Stevens, their associates and successors, are legally organized and established as, and are hereby made, an existing corporation under the name of The Old Stoughton Musical Society, with the powers, rights and privileges, and subject to the limitations, duties and restrictions, which by law appertain thereto. Witness my official signature hereunto subscribed, and the Great Seal of the Commonwealth of Massachusetts hereunto affixed, this twenty-fifth day of February in the year of our Lord one thousand nine hundred and eight. (5) Hon. David W. Tucker, Milton; (6) John B. Thayer, Randolph.